Turning your surroundings astonishing with tulip style chair is a well-appreciated idea. Being designed without armrest, but doesn’t hide the stylish and comfort feature. It has praiseworthy features such as attractive design, distinct colour, and comfortable seat. 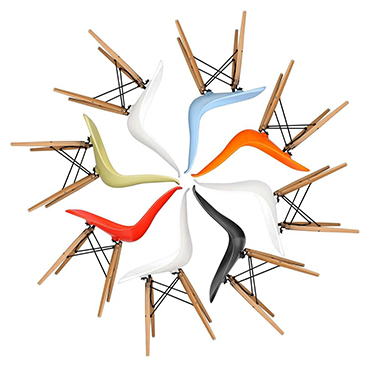 The buyer can place this organic and ergonomic piece of Euro Saarinen's design anywhere in the homes or even in the hospitals, offices, restaurants, and at other places. Its sitting area was designed by using the top-notch quality upholstery that endows the comfort experience to the users. The elegant and twisted design gives a perfect competition even to luxury look chairs. It’s time to buy this best style chair to turn your guests surprised by log in www.stin.com and avail 75% discount as well.